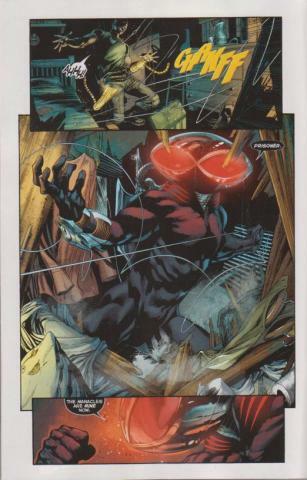 Time is running out for another member of The Others, as Black Manta relentlessly stalks The Prisoner. 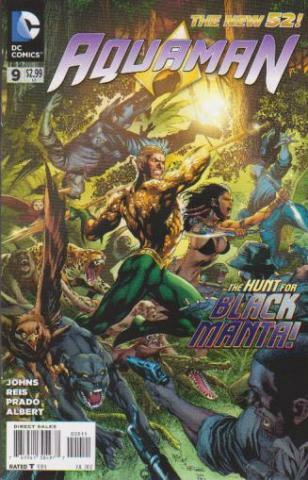 Plus: the animosity between Aquaman & Black Manta is revealed! Some questions are answered as some brutal action scenes are displayed. 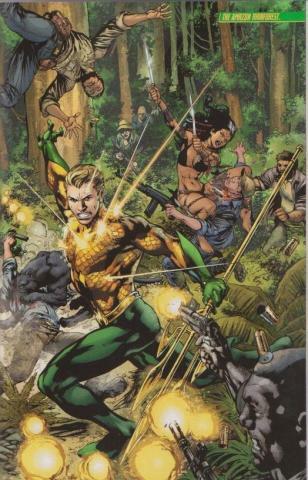 Another fine Aquaman issue by Geoff Johns (The Flash: Rebirth) & illustrated by Ivan Reis (Brightest Day) displays a killer last page. From DC Comics.